Home » *Other Games (Articles) » Breachstorm Kickstarter Launched! 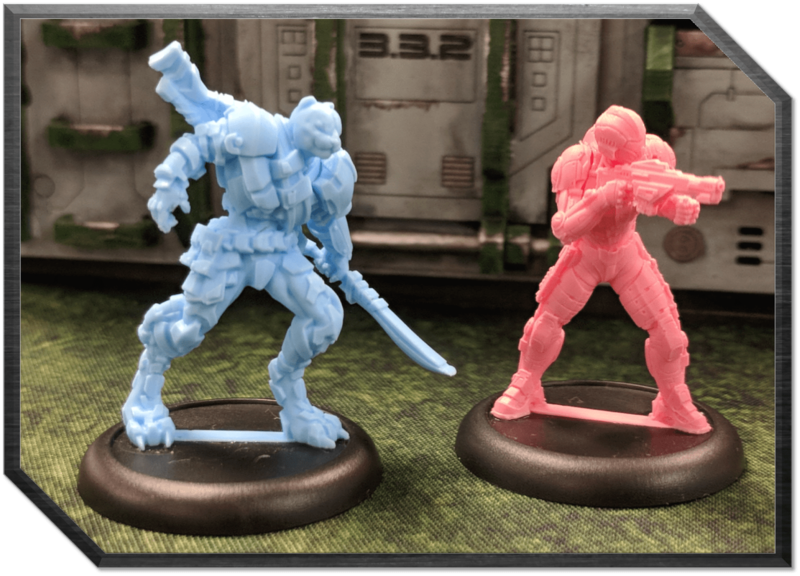 If you haven’t heard, Breachstorm is a brand-new, fast-paced and competitive tactical miniatures game for 2 players. In the game, players take command of small teams of miniatures in a desperate bid to complete asymmetric, narrative objectives. 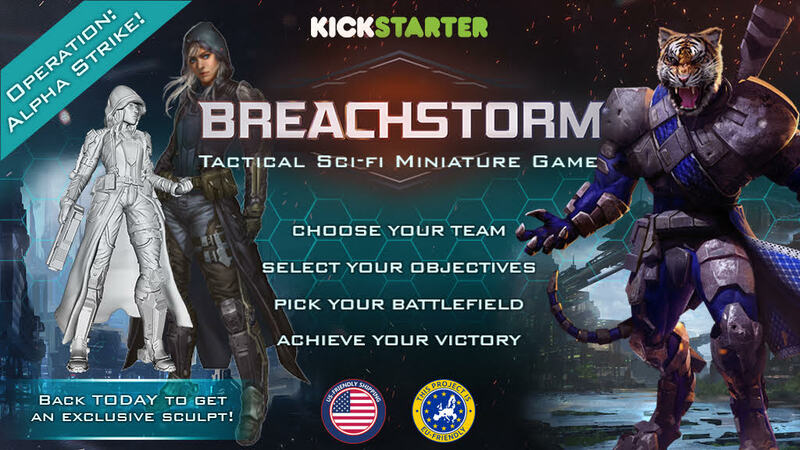 As of Tuesday, September 18th Breachstorm is currently available on Kickstarter, and you can even get a cool, limited edition reward for backing early! As part of creating their team, players choose the objectives that their teams are attempting to complete. These missions feature a wide spectrum of possible missions, from retrieving vital intelligence and hacking enemy computer systems to holding ground and bodyguarding essential personnel. Each player contributes one objective to the game’s scenario, and the combination of the two creates the overarching narrative. During a game of Breachstorm, players take turns acting with Field Officers – battlefield commanders who enhance their troops with powerful Orders – who can, in turn, order small groups of Infantry to act alongside them. This creates a constantly-changing game state that doesn’t leave any player out of the action for long.